Early bird pricing for Survey participants available through December 1st for $225! You are the only women to see this price. Register today to ensure your space. Price includes all events and meals. This year's conference is new and different. We've created a fabulous full weekend to be together in community. In addition to our experiential, transformative three-hour workshops, there will be many group activities to enjoy together with our sisters. Who's coming to WOW this year? • Rose Harrow ~ Sacred Money Archetypes: How to Close the Gap Between Where you are and Where You Belong! • Wendy Williams ~ Who Do You Think You Are? Past-Life Regression to Enhance Your Life Now! Every woman is supported, witnessed, valued and inspired to discover her dreams and step into her potential ! The two-day conference features over twenty different presenters. There are lively and inspiring evening presentations, stimulating half-day educational and experiential workshops, featuring women leaders, authors, artists and performers. 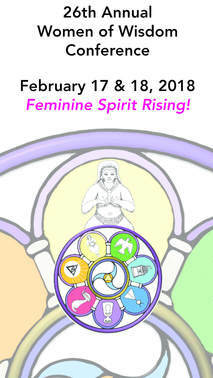 The WOW Conference offers workshops on diverse topics: art, music, sounding, dance, women’s wisdom, life purpose, relationships, sexuality, healing, shamanism, goddess wisdom, ritual, magic, and more. Volunteer positions and scholarships are available. “This conference is a life expanding experience – a time of reflection, rejoicing, renewing and connecting with other fabulous women (and men)"